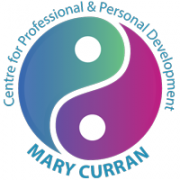 We’re delighted to welcome the Centre for Professional & Personal Development to Jobs Expo 2015. Mary Curran is one of Ireland’s first and most experienced coaches, coach mentors and Supervisor with over 13 years full-time in the profession since qualifying with the LBCAI in Ireland and Coachville, USA in 2001. Mary specialises in executive transition and career management: from high potential career development and stepping into new roles through to mid-life career change, breaking the glass ceiling and retirement planning. She have graduated as a supervisor for coaches in Advanced Supervision from the University of Middlesex. • Passion for helping people “move from great to brilliant” – whatever your background, and from powerlessness to powerfulness – complemented by a jargon-free, down to earth approach. • Passion for the profession of coaching – as the founder of the Coach Centre in Dublin and co-founder of the Life and Business Coaches Association of Ireland, I have been responsible for mentoring and training many of Ireland’s best coaches and positively impacting the careers and businesses of hundreds of individuals through coaching. Mary is accredited in a number of behavioural psychology models and psychometrics which are integrated into to her interventions: Belbin Team Role profiling, Insights profiling, Baron EQ. She is also a Master NLP practitioner. Prior to becoming a coach, she had an entrepreneurial and marketing background, having set up and managed Pavlova Pantry, an Australian style restaurant business which she ran successfully for 9 years and for which she won the ESB Innovative Business Ideas Competition in 1988. Visit the Centre for Professional & Personal Development’s website to find out more.